First published in 1943, America is in the Heart—a classic memoir by Filipino poet Carlos Bulosan—describes his boyhood in the Philippines, his voyage to America, and his years of hardship and despair as an itinerant laborer following the harvest trail in the rural West. In the new 2014 edition of the book, Marilyn C. Alquizola and Lane Ryo Hirabayashi eloquently situate this classic work within a contemporary context while also highlighting the book’s legacy in Filipino American literature as well as in labor and immigration history. Below, we feature an excerpt from this introduction. Sadly, as is thoroughly documented in publications such as the Southern Poverty Law Center’s Close to Slavery: Guestworker Programs in the United States (2013), the plight of farm laborers—not from the Philippines, for the most part, but now mainly men, women, and children from Mexico and Central American countries—is as horrific and unsettling in the new millennium as ever. Perhaps public awareness of today’s exploitation of field-workers will be heightened by AB 123, as well as by the continuing circulation of Filipino American author Carlos Bulosan’s masterpiece of labor history, America Is in the Heart. This entry was posted in Asian American Studies, Current Events and tagged America Is in the Heart, Asian American Studies, Carlos Bulosan on March 26, 2014 by uwpressblog. We are pleased to announce that Vacationland: Tourism and Environment in the Colorado High Country by William Philpott has been named the winner of the Western Writers of America 2014 Spur Award for Best Western Nonfiction in the contemporary category. This book was published in 2013 in the Weyerhaesuer Environmental Books series. This entry was posted in Asian Art, Environmental History, UW Press News on March 21, 2014 by uwpressblog. Edward Curtis’s 1914 silent film, In the Land of the Head Hunters,was a landmark of early cinema and provided a rare glimpse into Curtis’s encounter and collaboration with indigenous peoples, in this case the Kwakwaka’wakw of British Columbia. Despite its historical significance, the film was a commercial failure and the film was lost soon after its debut. Scraps of the film would resurface decades later but, until now, it was never fully restored. Working with a team of collaborators—including members of the Kwakwaka’wakw tribe and group of interdisciplinary scholars—Brad Evans and Aaron Glass have meticulously reassembled the film and its original orchestral score so that it closely resembles the movie as it would have been seen by audiences in 1914. In today’s guest post, Evans and Glass discuss the process of restoring the film and place it within the broader context of American film history. In 1914, the American photographer Edward Curtis produced a melodramatic, silent feature film entitled In the Land of the Head Hunters. This was the first feature-length film to exclusively star Native North Americans, released eight years before Robert Flaherty’s Nanook of the North. An epic story of love and war set before Europeans arrived on the North Pacific Coast, it featured non-professional actors from Kwakwaka’wakw communities in British Columbia, a people already famous then for spectacular visual art and dance, as well as resistance to assimilation. For gala openings in New York and Seattle, Head Hunters was accompanied by an original orchestral score composed for the film by John Braham, best known at the time for arranging Gilbert and Sullivan operettas. This score—claimed by Curtis to be based on Native source music—is now thought to be the earliest surviving score for a silent feature film. A critical success but a financial failure, Curtis’s film was soon lost and largely forgotten, as so many early silent films were. This entry was posted in Native American and Indigenous Studies on March 19, 2014 by uwpressblog. 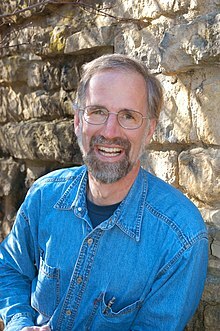 William Cronon, the Frederick Jackson Turner Research Professor of History, Geography, and Environmental Studies at the University of Wisconsin, Madison, has announced his retirement as editor of the University of Washington Press’s Weyerhaeuser Environmental Books series. The new editor is Paul Sutter, associate professor of environmental studies at University of Colorado, Boulder, who will take over the series in late March. Cronon’s retirement will coincide with the publication of the forty-third book in the series, How to Read the American West: A Field Guide, by William Wyckoff, which will be launched at the American Society for Environmental History annual meeting in San Francisco this week. He was deeply involved in creating the Weyerhaeuser Environmental Books series twenty years ago and has played a major role in earning the University of Washington Press its reputation as a leader in environmental history. He will continue to support the series as founding editor. This entry was posted in Environmental History, UW Press News on March 11, 2014 by uwpressblog. Larin McLaughlin has been appointed Editor in Chief, effective March 31, 2014. Larin will be coming to us from the University of Illinois Press, where she currently serves as Senior Acquisitions Editor. She joined the AAUP community in 2005 as Assistant to the Editor in Chief at SUNY Press, where she was quickly promoted to Acquisitions Editor. Larin holds a B.A. in English from Georgetown University as well as an M.A. and Ph.C. (ABD) in English and a Graduate Certificate in Women’s Studies from the University of Washington. Puja Telikicherla Boyd will be joining us on April 2, 2014 as our Intellectual Property Manager. Puja previously held this position at Georgetown University Press. She brings contracts and rights and other valuable publishing experience from positions held at the Brookings Institution Press, DK Publishing (Penguin Group), and NYU Press. Puja holds a B.A. in Communication Studies and an M.A. in Media Ecology from NYU. This entry was posted in UW Press News on March 7, 2014 by uwpressblog. In today’s post, Pests in the City: Flies, Bedbugs, Cockroaches, and Rats author Dawn Day Biehler examines the historical roots of bedbug outbreaks and how social inequality continues to exacerbate the problem for many city dwellers. Biehler also explains how American domestic practices have altered the genetic makeup of bedbugs, making them even more tenacious pests than the ones previous generations had to deal with. Finally, she argues for the need to view domestic spaces as both natural and social in order to get to the root of the bedbug problem. The reader’s timing was eerie. That year, Louis Sorkin of the American Museum of Natural History noted that his office had “received more bedbug specimens for identification in the past three years than in the previous 20.” Soon, discreet transactions with entomologists and pest management professionals could no longer contain the growing, tenacious multitude of bugs. Within months, tenants and landlords, hoteliers and cab drivers, retailers and office managers across the United States confessed to their struggles with this tiny bloodsucker. This entry was posted in Current Events, Environmental History, Guest Post and tagged bedbugs, Environmental History, urban history, urban pests on March 5, 2014 by uwpressblog.